Qsiva is the European name for Qsymia, an appetite suppressant approved in the United States. An application for Qsiva was rejected by the European Medicines Agency but it is likely that a new application will be submitted with further information taken from post-marketing studies in the United States. Qsiva has been developed by Vivus, a fast-growing pharmaceutical research company based in North America. If Qsiva is licensed in the EU then this is unlikely to happen before 2015. Qsiva is designed to help obese patients reduce their appetite and feel satisfied with less food. It comes in capsule form and is taken daily. Qsiva contains two active ingredients, phentermine and topiramate. Phentermine used to be a commonly prescribed slimming medication until about a decade ago, when concerns were raised about its impact on long-term health and whether it is addictive. Phentermine is no longer generally prescribed in the UK but there are some specialist slimming clinics that prescribe this medication for very short-term use. Phentermine is still the most commonly prescribed weight loss medication in the United States. Topiramate was approved in 1996 as a treatment for epilepsy and more recently as a treatment for migraine prevention. Topiramate works through GABA receptors in the brain to increase feelings of satiety and fullness. Phentermine stimulates the release of the neurotransmitter noradrenalin, which reduces appetite. The combination of Topiramate with Phentermine appears to increase Topiramate's window of effectiveness. Qsiva has gone through two separate phase III clinical trials required by the FDA and results from the trials indicated that it is an effective aid to weight loss in obese patients. As with any medication, Qsiva does seem to have some side effects in some patients. The most common were dry mouth, tingling sensations, constipation, altered taste and insomnia. The medication did not seem to cause problems with mood, depression or suicidal ideation. There had been concern about side effects reported previously with Phentermine - raised blood pressure - and Topiramate, namely cognitive problems and depression. However both drugs are present in Qsiva in very low doses and there has been no indication in the clinical trial data that the medication causes any of these, or any other, serious side effects. 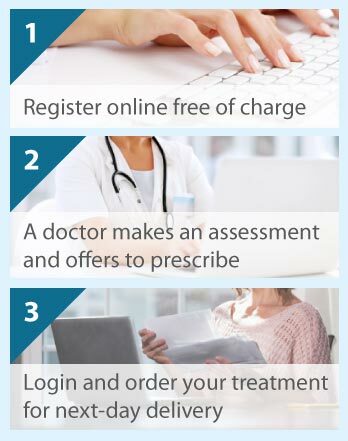 The Online Clinic has always opposed the prescription of Phentermine on its own but if this new sustained release formulation in combination with Topiramate is deemed to be safe and effective then we will give serious consideration to prescribing it once the medication has been approved by the European Medicines Agency and the MHRA. When will Qsiva be available? Qsymia is available in the United States through certain physicians but it cannot be bought online. If a European license is again applied for, we would expect Qsiva to become available in 2015 in the EU. Although we cannot prescribe Qsiva at the moment, if you register for a weight loss consultation now and agree to be on our mailing list then we will notify you as soon as Qsiva becomes available.